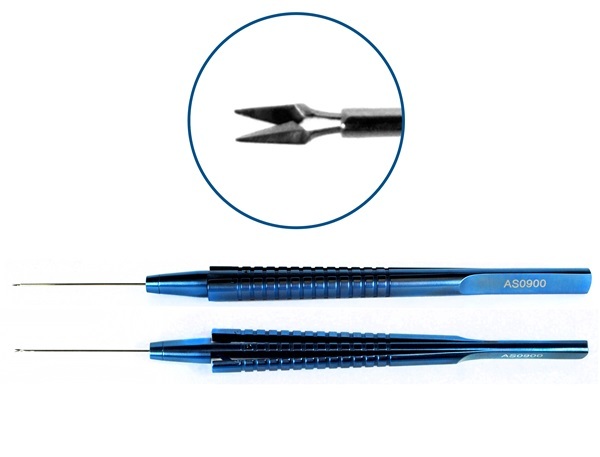 Microscissors with straight tubular shafts available with straight or curved 2mm blades. All scissors have titanium, squeeze-action handles. Curved blades. Overall length: 146mm. Straight blades. 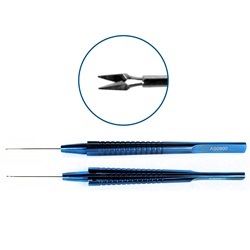 Overall length: 146mm. 23g shaft, straight blades. Overall lenght: 142mm. Angled blades. Overall lenght: 146mm.